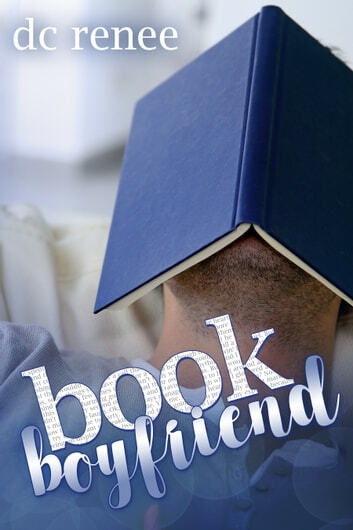 What would you do if you ran into a real life book boyfriend? You might scream or maybe giggle. You might play coy or maybe stare. You might ask for a picture or maybe an autograph. You might call your girlfriends or maybe post about it. What did I do? I ran. Literally. Kim was a typical college student with a splash of dorky, a dash of funny, and a pinch of clumsy…well, maybe more than a pinch. After making a fool of herself in front of her classmate Brent, and his friend, Travis, a dead-ringer for one her book boyfriends, she tried to stay away. But after a few hilarious chance encounters, they became fast friends. And then came the bet. It was Travis versus Brent, but somehow Kim got roped in to help team Travis. He was supposed to find and woo his real life book girlfriend. What could go wrong with a couple of college kids and an innocent bet? Let the shenanigans and laughter ensue! And maybe add in a bit of friendship, fun and most definitely, love.